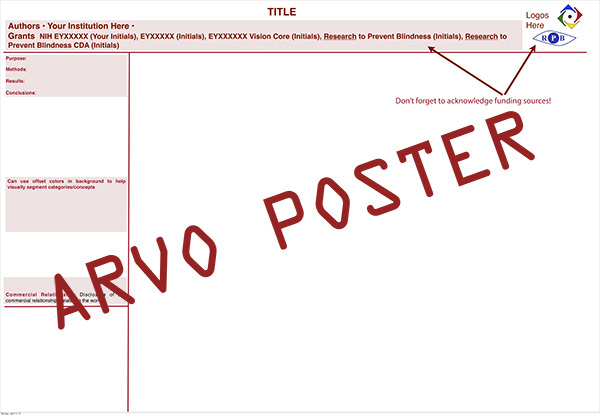 Webvision is proud to announce that our colleague here at the University of Utah‘s Moran Eye Center researcher Wolfgang Baehr, Ph.D., has been named by the Association for Research in Vision and Ophthalmology (ARVO), as the 2014 recipient of the Proctor Medal —considered to be the highest honor in the world awarded to scientists working in vision research. 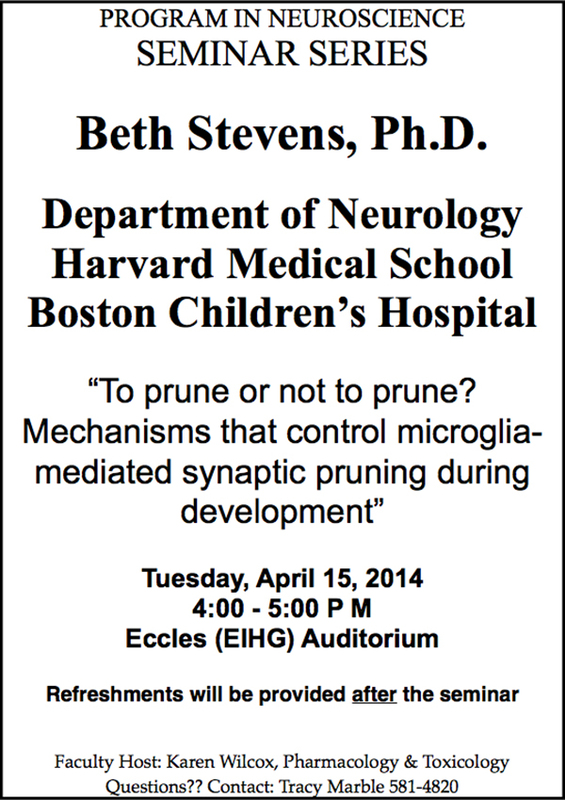 The award will be presented to Dr. Baehr during the ARVO 2014 Annual Meeting in Orlando, Fla., scheduled for May 4 — 8. Dr. Baehr was chosen as the recipient of the Proctor Medal for a lifetime of achievements including his work in discovering mechanisms underlying retinal diseases. P.S. Drop us a line if you’d like to celebrate with us on Monday, May 5th in Orlando, Florida. 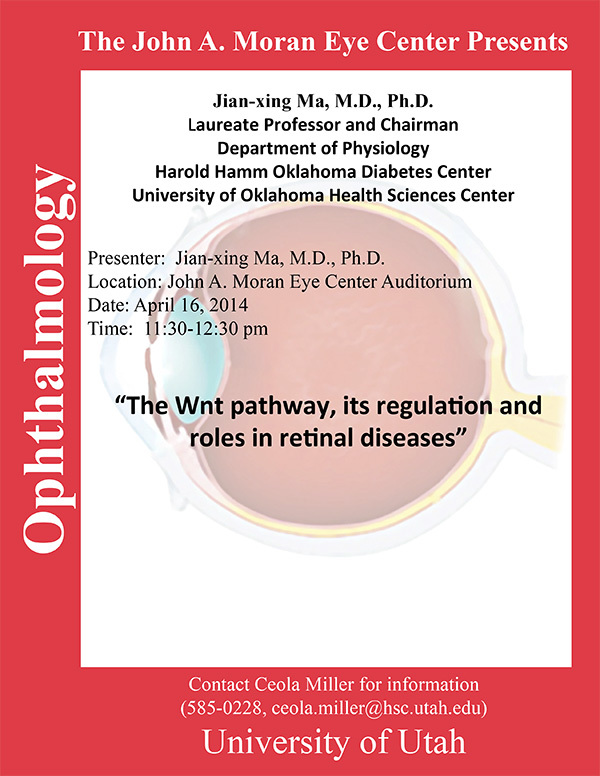 Jian-xing Ma will be delivering a seminar, The Wnt Pathway, Its Regulation And Roles In Retinal Diseases on Wednesday, April 16th at 11:30am in the John A. Moran Eye Center auditorium. Dr. Ma has made contributions to several areas of visual science: 1. Vitamin A metabolism, retinoid cycles (RPE65); 2. Oxidative stress and inflammation in diabetic microvascular complications, age-related macular degeneration (AMD) and potential treatment; 3. New inhibitors of the Wnt pathway. 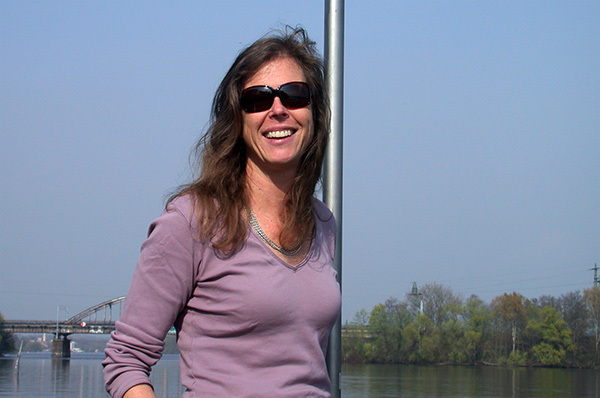 My colleague Dr. Wolfgang Baehr at the University of Utah sends this image of friend of Webvision, Dr. Bäerbel Rohrer from Medical University, South Carolina taken last week when they ran into each other in Berlin, Germany. Its always fun to run into friends and colleagues in different parts of the world. We will look forward to visiting with them both at ARVO 2014, down in Orlando, Florida in the next few weeks. Image courtesy of Wolfgang Baehr, Ph.D. Ask A Scientist: What Is An Optical Illusion? Friend of Webvision, Matt McMahon from the National Eye Institute talks about retinal illusions in this little YouTube video. 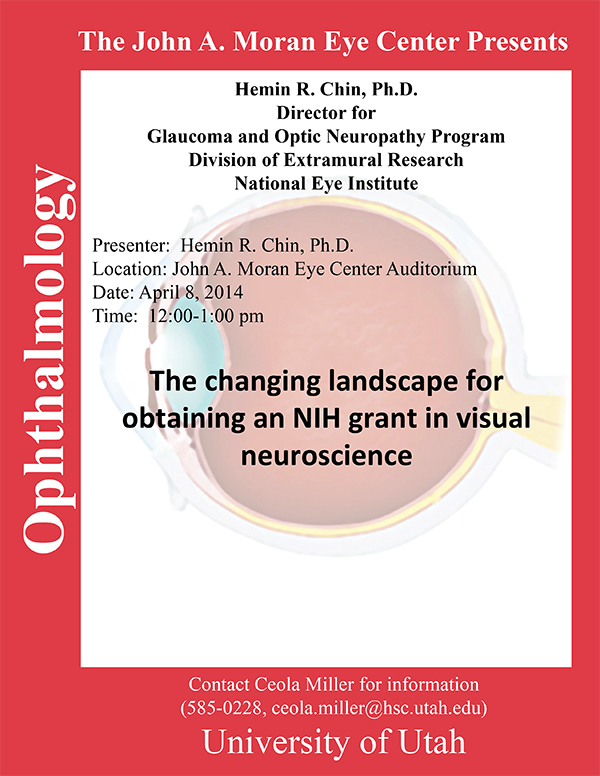 Hemin R. Chin will be delivering a seminar, The changing landscape for obtaining an NIH grant in visual neuroscience on Tuesday, April 8th at 12:00pm in the John A. Moran Eye Center auditorium.